Former Australian captain and batting legend Ricky Ponting thinks young star Will Pucovski will bat at No.6 in the first Test against Sri Lanka. Pucovski, Matt Renshaw and Joe Burns were called in for the two-match series, starting at the Gabba on January 24. Ponting believes that Pucovski has been pencilled into the middle-order, while Renshaw and Burns are competing for the final spot. The successful batsmen would join Marcus Harris, Marnus Labuschagne, Usman Khawaja and Travis Head in the Australian line-up, with no specialist all-rounders picked for the series. “I think Pucovski goes straight in, I think he’ll bat at six in the Test match, and then I think it’ll just about be a batting competition really between Renshaw and Burns in that game and in the lead-up to the Test match,” Ponting told Channel Seven. Pucovski, 20, has played just eight first-class games, scoring 588 runs at 49.00 with two centuries. 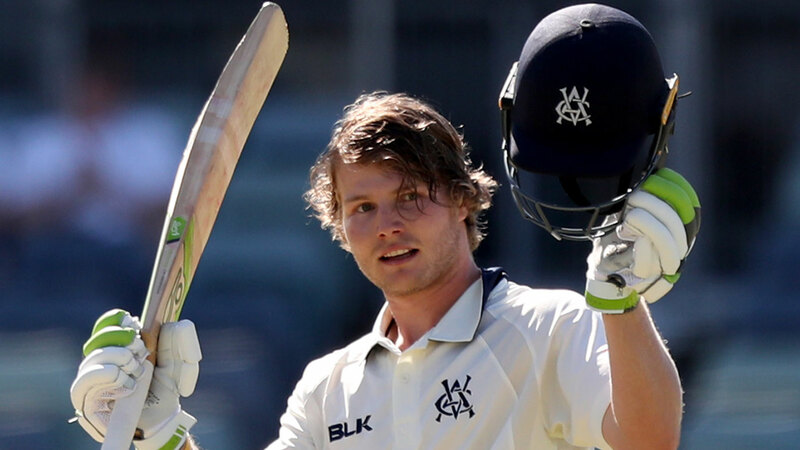 He made 243 for Victoria earlier this Sheffield Shield season, becoming the first batsman since Ponting to score a first-class double century before turning 21. Like Ponting, Pucovski will also make his Test debut before turning 21 if he makes the XI at the Gabba. His stunning elevation was made even more remarkable by the fact that he has overcome mental health issues this season, taking a six-week break to recover. Ponting batted No.5 on Test debut at the WACA, which was also against Sri Lanka. He made 96 in his first innings, before copping a dubious LBW decision to be dismissed agonisingly close to a century by Chaminda Vaas.